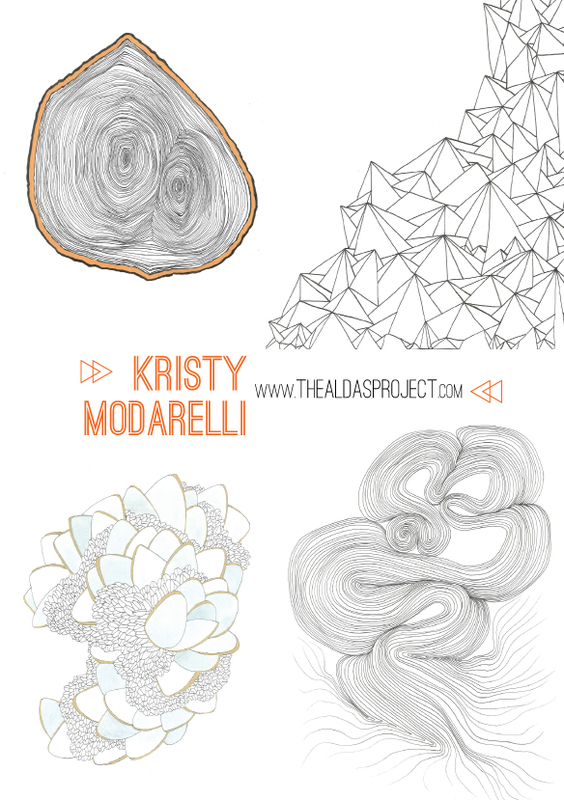 I am so pleased to introduce Kristy Modarelli to you today! Kristy is an artist on a mission. She is creating a pieces of artwork every single day for a year to challenge herself as an artist and to benefit three of her favorite charities. Let me tell you, this is NOT easy to do. I took on a similar project painting a painting each day and I think I kept it up for 4 months. So my hat is off to Kristy Modarelli for her hard work and dedication! You can follow along with her year-long process on her blog and purchase the daily drawing from her Etsy shop. Her shop and blog are named “Aldas” (pronounced ull-dosh) which is the Hungarian word for “blessing”. 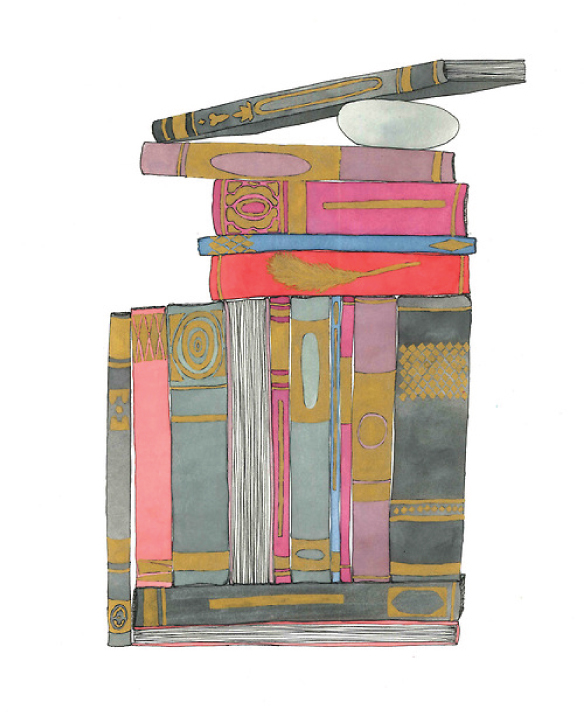 I love the loose, effortless look of Kristy Modarelli’s drawings. Her work is very organic and bold, yet, they are whimsical and engaging. Many of them have these awesome geometric shapes designed into them creating a graphic pattern. Check out her blog to see what she has created today! Very awesome work for a very awesome reason! wow! i absolutely love this project–amazing work!